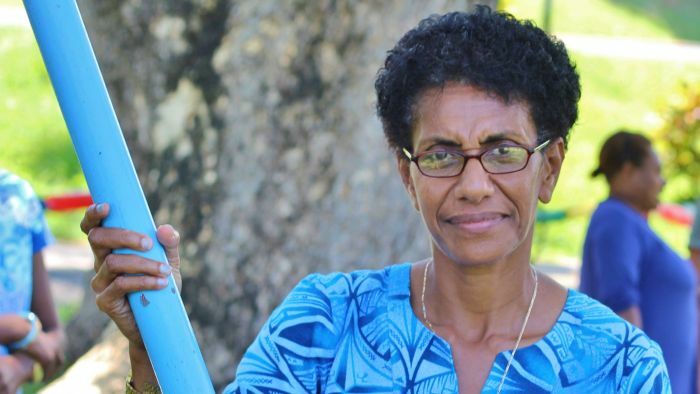 Horror stories of children with disabilities living in shame are gradually being replaced with stories of success in Fiji, and badminton, albeit a barely-recognisable version of the superfast sport, is playing an important part in this life-giving transition. It is a scene of pure joy. Two teens pretend they are playing a rocking guitar solo on their racquets. A barefoot boy balances a shuttlecock on his racquet and flashes a satisfied grin at the teacher encouraging him. Abdul declares he loves me and everyone else – many, many times over – while Lazarus is giving out unsolicited free hugs. And then there’s the yellow and green balloons. Lots of them. 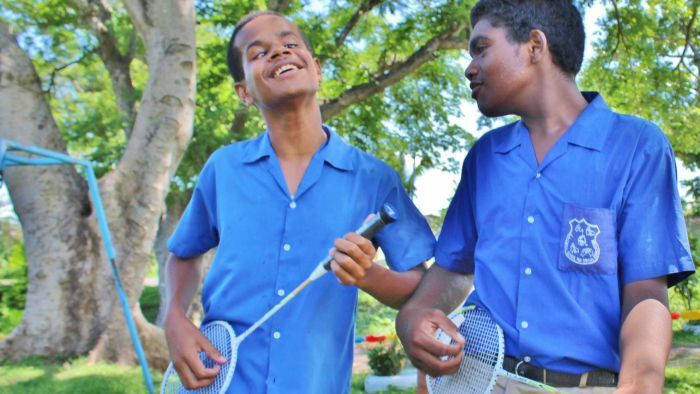 It could be the birthday party that childhood dreams are made of but it is actually a badminton coaching clinic, and more importantly, a sport for development program being run at Lautoka School for Special Education in Fiji. “It is good to see the expression of the faces huh? 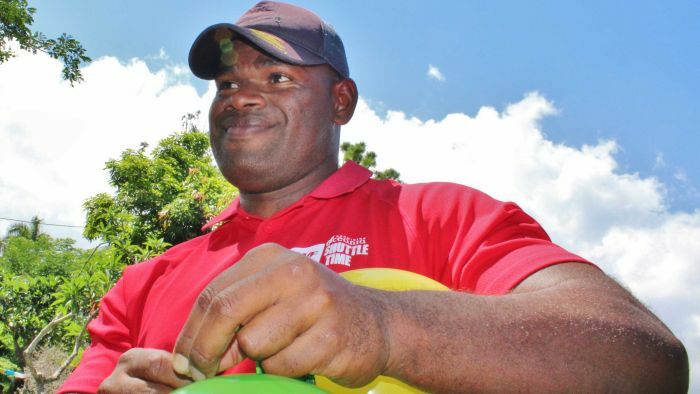 They are loving it,” says Fiji Badminton Development officer and coordinator of today’s festivities, Mat King. You didn’t get it a lot in special schools once, either. Teachers who’ve been in the system for a long time tell stories of children hiding under bus seats to avoid being shamed for attending such a school. Acting Head Teacher Kelera Senibulu remembers many examples over the years of children with disabilities being hidden from sight and mothers being abused for seeking help for a child. “They’d tell me: ‘We fought at home because my husband doesn’t want our child here’,” she recalls. 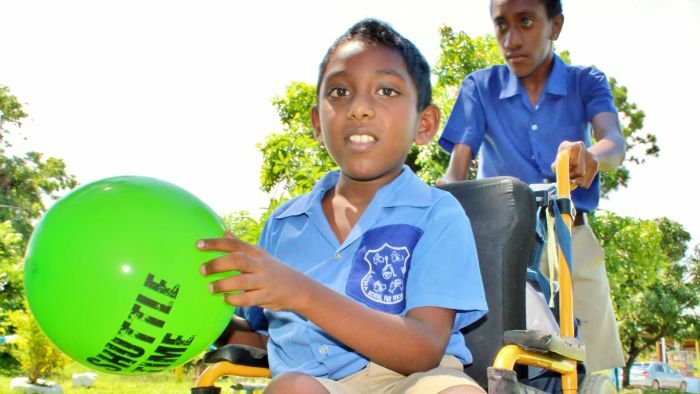 Most students at Lautoka School for Special Education won’t transition to a mainstream primary or high school so developing living and social skills is paramount. 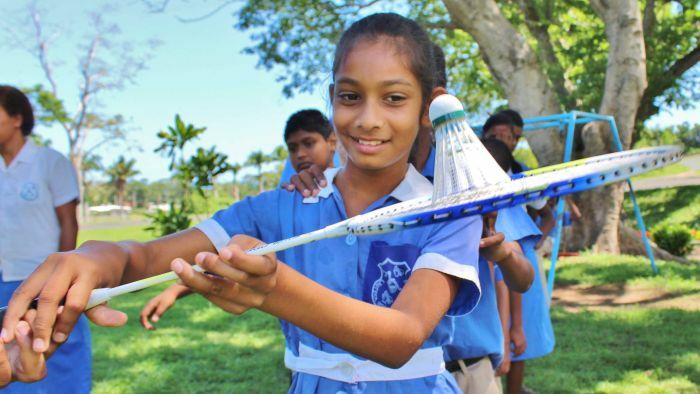 Sport, including the Australian Aid-supported badminton program Shuttle Time, is a critical part of the curriculum. So too, the potentially life-saving Thursday swimming lessons. With health issues plaguing some students, regular exercise is critical and many respond better to physical, rather than academic, challenges. The balloons are proxy shuttlecocks. For beginners, a game of ‘keep it up’ with a racquet and a balloon is a realistic entrée to the fast, highly-skilled sport. “We are trying to teach them to be independent,” Kelera explains. Mat is a fine role model in that regard. A mountain of a man, you’d expect to see him flinging aside opponents in some gladiatorial battle on one of Fiji’s many rugby pitches. But his gentle way betrays him. “Some people, they just look down on these kids. But what we are trying to do is make it equal for all students,” he says. It seems everyone is learning from these children. Learning that they should be supported not shamed, that free hugs and declarations of love spread joy, and that happiness may be as simple grabbing a racquet, a green balloon and a friend. Original post can be found, here.